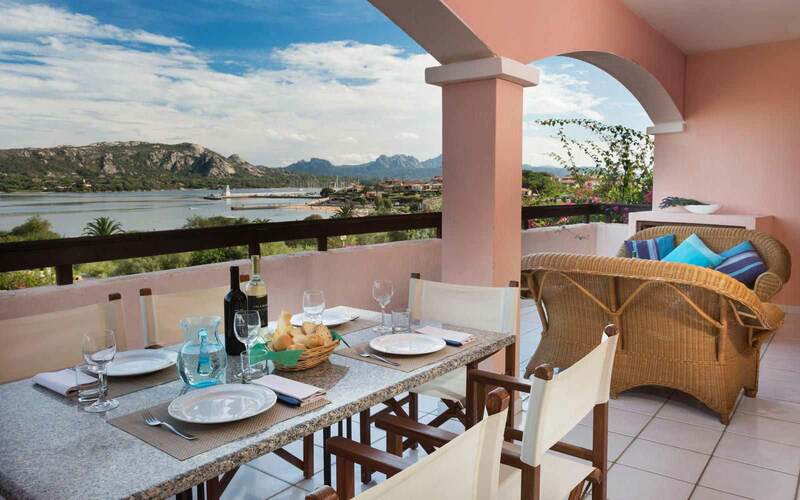 Situated at the gateway to the Costa Smeralda, Resort Cala Di Falco sits in attractive gardens, just across the road from the main beach at Cannigione. The charming, small town of Cannigione, with its port and selection of shops, restaurants and gelaterias, is just 100 metres away, making the Resort the ideal choice for guests who enjoy a gentle stroll into town in the evening, or for those preferring to self-cater or dine in the local restaurants. 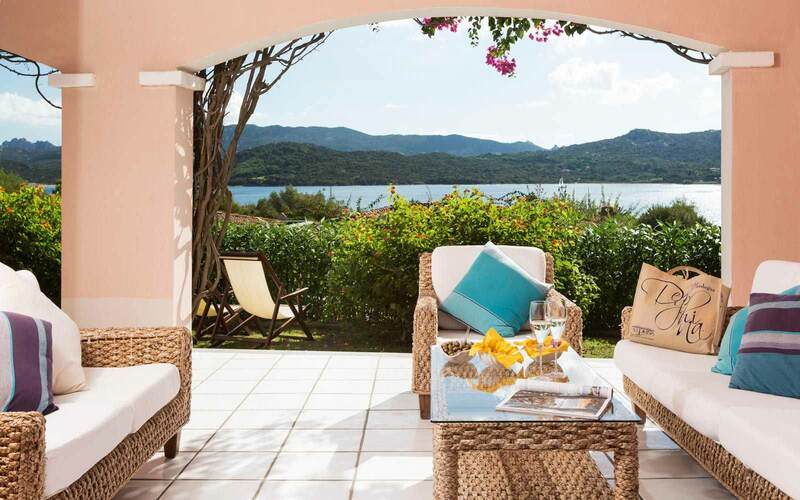 Guests in the villas benefit from the great freedom of arranging their own meals, with the added convenience of having shops only a few minute’s walk from the resort. 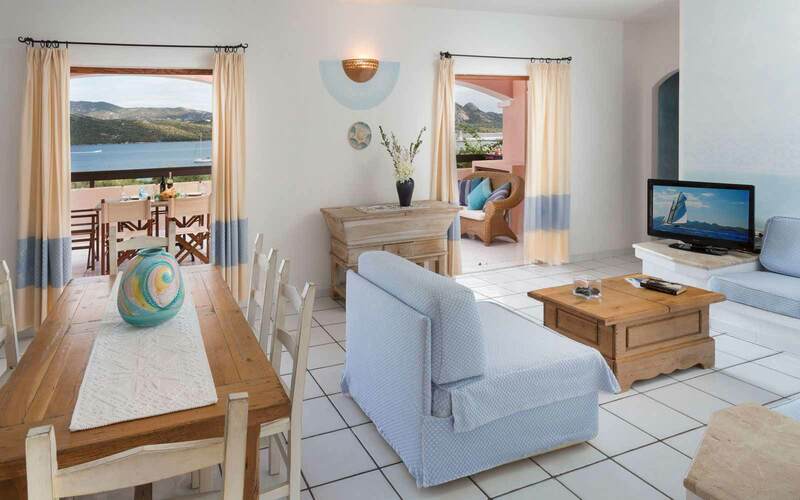 Alternatively, the resort offers the use of two restaurants: La Poiana with poolside views and a large buffet selection for breakfast, lunch and dinner or La Terrazza, more exclusive with stunning views over the Gulf of Arzachena and offering table-service diner only. After dinner, guests can relax in the Piano Bar lounge, with al fresco terrace overlooking the pool and sea. Entertainment takes place some evenings. Both restaurants must be paid for locally and reserved in advance. Subject to availability. A weekly package can also be purchased in advance for villa stays on BB, HB or FB. The Resort boasts three freshwater swimming pools. 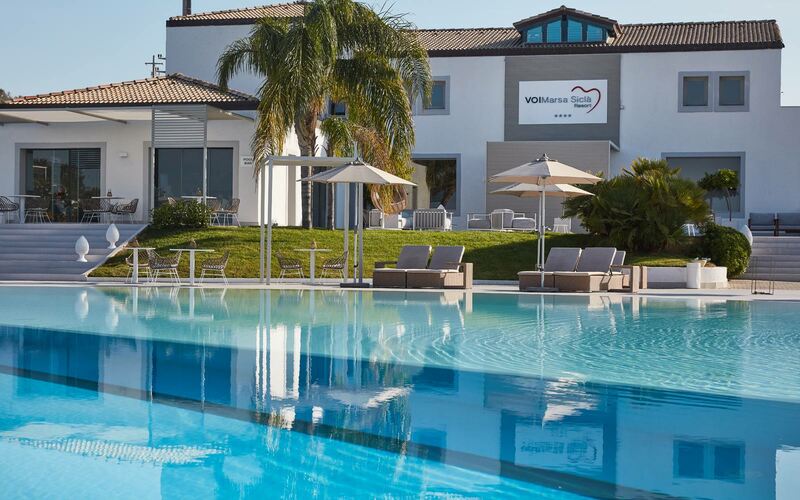 The large, central pool, with sun-beds, parasols, bar and pool attendant, is reserved for Il Borgo guests, whilst a smaller pool is reserved for guests of La Rotonda & the Residence, and offers sun-beds and deckchairs. (Guests at La Rotonda Residence may use the pool at Il Borgo for a local charge (subject to availability). The third is for children only and is located within the supervised area of the Mini Club. Guests can spend a relaxing half day at the exclusive Wellness Centre ‘L’Incantu’ located at the five-star Hotel Capo d’Orso in Palau (at Cala Capra). The Centre is equipped with reception, multi function seawater Thalasso pools, treatment rooms, Turkish bath, relax areas and sun deck with sun-beds. Transfer is by boat. All payable locally. The Resort offers a free Baby & Mini Club with playground (operates end of May - early Sep). The Baby Club (from 18 months to 3 yrs) and the Mini Club (from 4 yrs to 13 yrs) are open from 0900 to1300 and again from 1500 to 1830 7 days a week. There is also a 24-hour baby bottle service. In addition, the Clubs operate a group baby sitting service (for children aged 18 months to 5 yrs) from 2030 to 2300, enabling parents to enjoy a relaxing evening. (Available at local cost – children’s dinner not included). Pushchair and highchair hire available on request when booking holiday. (Charged at local cost & refundable deposit required on delivery). Cala di Falco does not accept cash payments. Payments are made with a pre-paid card, which is issued at reception on arrival. Any remaining credit will be reimbursed upon departure. 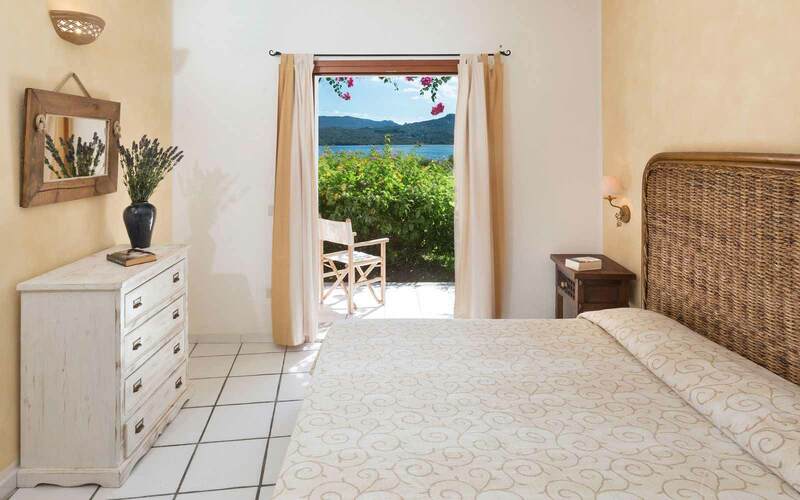 Each Villa is located a few hundred metres from the sea and uniquely decorated with high quality furniture and materials promoting the authenticity of Sardinian craftsmanship. The villas are equipped with fully fitted kitchen (oven, microwave, fridge, dishwasher, crookery…), dining table and chairs, lounge area with sofas and TV, air-conditioning, 2 or 3 bedrooms with either double or twin beds, bathroom with shower, bed linen, bath towels, beach towels, hairdryer, safe, DVD player and free wi-fi. Villa Type A: bedroom with double bed with bathroom, 2nd bedroom with twin beds, 2nd bathroom with shower, kitchen, living room with a built-in sofa bed and barbecue. 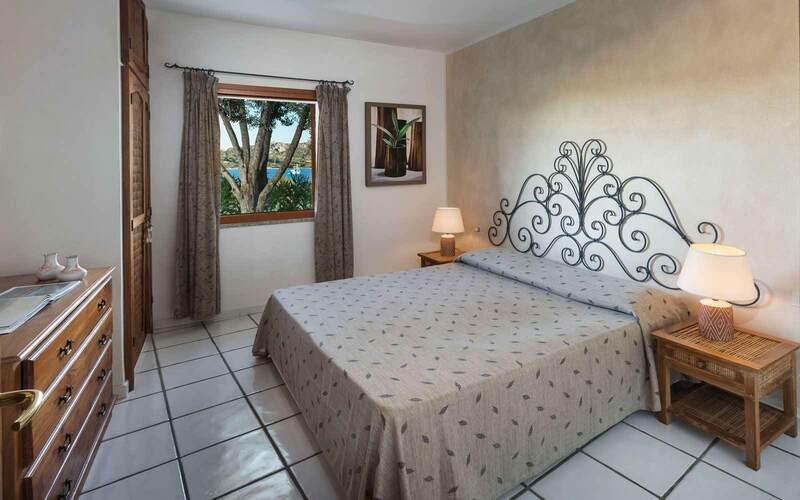 Villa Type B: sea-view villas, bedroom with double bed with bathroom, 2nd bedroom with twin beds on request, 2nd bathroom with shower, kitchen, living room with two single sofa beds or double sofa bed. 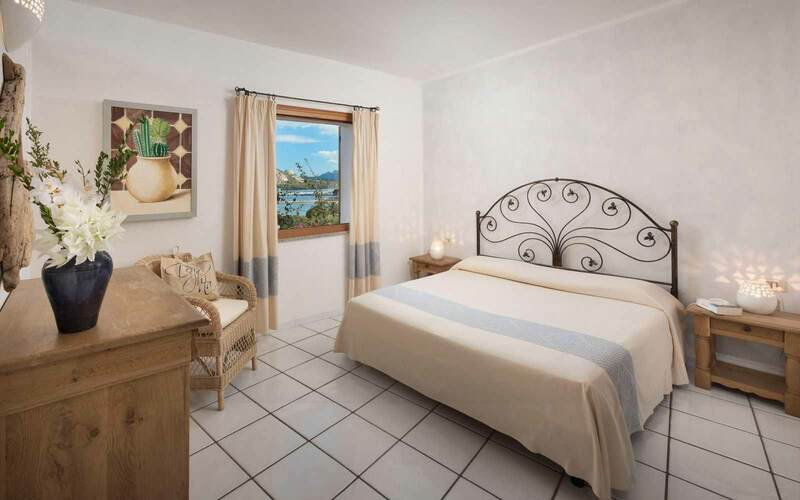 Villa Type C: designed in Mediterranean style with top quality furnishings comprises a first double bedroom, a second bedroom with twin beds, two bathrooms with shower and a final bedroom with two separate beds. The spacious common areas include a kitchen and living room with a built-in sofa bed (for up to two children under the age of 12). Outdoor patio and private garden equipped with sunbeds and barbecue. Maximum occupancy of 6 adults and 2 children under the age of 12. Cot available on request. 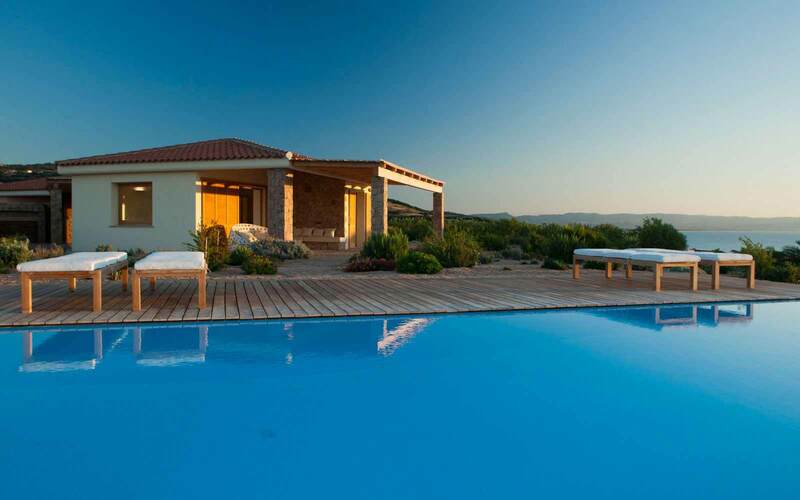 Breakage deposit: €300 per villa (refundable on departure). Utilities: €63 per week per person for water, gas, electricity, linen (bed/bathroom: 1 set of bed linen and 2 bathroom sets, kitchen linen not supplied). Complimentary beach towels and bathrobes for adults are supplied together with mid-week cleaning. Children aged from 0 to the 2nd birthday free. 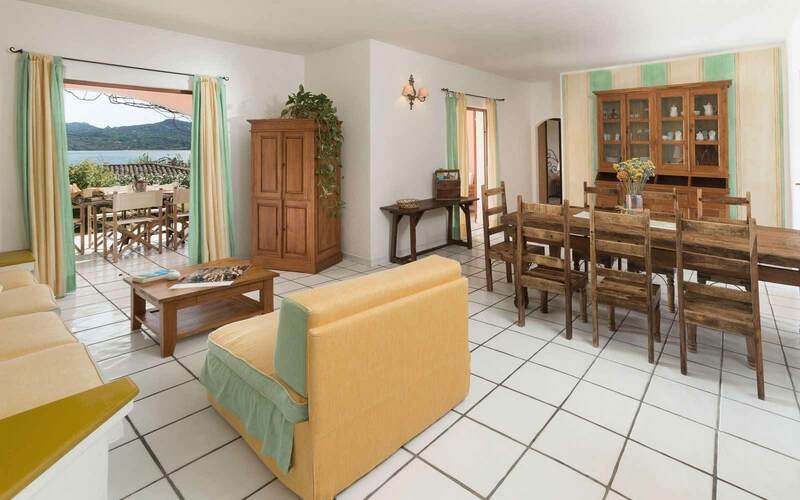 Final cleaning: € 150 for the Villa Ginestra and € 130 for the other villas. Fridge, crockery and kitchen area must be left clean prior to departure or € 60 will be deducted from the deposit. 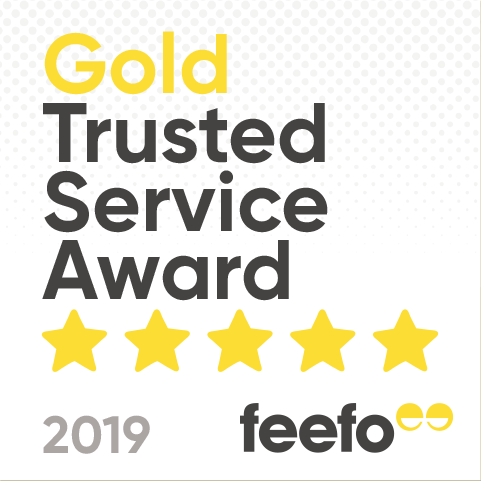 Midweek cleaning (optional) to ask and pay for on site: € 60 for the A and B type villas and Villa Erica, € 70 for the C and D type villas and Villa Elicriso, € 80 for Villa Ginestra.